Discussion in 'Mac Basics and Help' started by Agahamoru, Jul 22, 2017. I'm posting this from Windows laptop, because I lost access to Mac Mini. Yesterday, everything was fine. I did not upgrade or update. Though I remember Mac asking if I want to update right now and I pushed it further into future. It was either yesterday or few days before. Don't know if it updated when I shut it down. - Tiny power light burns, showing Mac Mini is active. - Philips 223V monitor blinks, showing monitor is active, but there is no connection between Mac and monitor. After waiting long enough, disconnected power, shut Mac down, pushed CMD+R on keyboard, pushed Mac's power button again. And nothing. Could not even get Recovery Mode. So right now, I have NO access to Mac. I see it is working, but it seems to have zero connection with monitor. I can't access Recovery Mode, I can't do a thing. I have no other monitors to attach there and it is Saturday so local Mac support center is also closed for 2 days. Any ideas what this could be caused from? First, reset SMC (on a Mini, this means disconnecting from wall power for 15 seconds, then reconnecting). If it begins to startup after that, then you can try to boot into Recovery. Hint: Pressing CMD+R before pressing the power button does nothing. The power button must be pressed first, and the power-on self-test (POST) must finish before key combinations can be recognized. The startup sound indicates that the POST has finished and you can press keys. If you can't hear the startup sound, just wait a second or two after pressing the power button before pressing the keyboard combinations. First off, if the system doesn't get past POST, it's not going to locate a bootable drive of any sort, internal or external. That said, a bootable external drive is a great tool if you've prepared one in advance, or have another Mac on which you can build one (Target Disk Mode is also an option, if you have a second Mac). However, that advice doesn't help someone who doesn't have one, or can't make one. On the other hand, Recovery and Internet Recovery provide comparable functionality, and are built into the vast majority of Macs currently in service (no Recovery for Snow Leopard or older, no Internet Recovery for pre-2011 Macs). Agahamoru and Weaselboy like this. Forgot to wear my headphones. No, start up sound is there. Light burns. So Mac actually turns on. Tried it, no effect though. I may have worded this wrong - I always push the CMD R down before pushing power button and keep holding those keys down until Recovery appears. I did try CMD+R after start-up sound. Still nothing. I tried Time Machine backup, hooked external hard drive behind Mac. Held CMD+R down but nothing again. And then it started making this weird noise like when windowor program is open and you keep wanting to open it. ThisTRRRRRR-sound. TRRRRRRR-sound may be keyboard-related - the "critical stop" sound continuously repeated because you're continually pressing keys (my 89-year-old dad gets this all the time, when he lays books on top of his keyboard). Since you can't see what's on screen, you could be booting successfully without knowing it. The key presses would then affect whatever keyboard input the system was expecting. This suggests an issue with video. If the issue is with the video, rather than the system booting... Try Resetting NVRAM - press and hold Option+CMD+P+R on startup, keep holding them until you hear the startup sound again, then release the keys. That may get your video back. If your video output is not working, you may be booting up completely, but you can't see it. The sound that you get if you continue to hold the same keys may mean exactly the same --- that you are booted up. The OTHER indication is that you say the light on the display is blinking. That usually means it has no connection, or is an error condition on the display itself. So, your next step is to try a different display. Which video output are you using on your mini? HDMI? or Thunderbolt/mini displayport? ApfelKuchen and Agahamoru like this. Thank you for advice. Two sounds, unfortuely screen still black and monitor light blinking. Any advice what I should do next? Do I have to buy new monitor? But how do I know what to take for this issue to not pop up again? Not to overlook the obvious ... did you double check that the monitor "input selection" was still set to the input in use? You don't necessarily have to go to an Apple store to find another display to try. 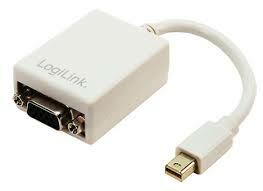 If you have an HDMI output on the Mini (or appropriate adapter), nearly any flat screen TV will work. Friends, neighbors, or even a Windows computer center would have a display you might use. The Philips 223v seems to be VGA-only. You will also want to try a different adapter --- the mDP to VGA dongle might have failed. But, your first step is to make sure that your display is actually working.